Medicaid is an insurance program for certain people and families with low incomes and resources. The program is funded jointly by state and federal governments. Benefits of a Medicaid program include health insurance, prescription drug coverage, in-home care and transportation to medical appointment. 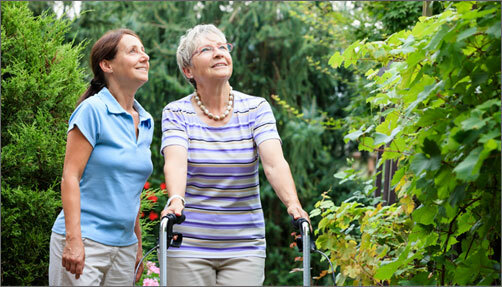 If you are are caring for a senior or adult living with a disability who needs help with activities of daily living (such as bathing, assistance with walking, personal hygiene, medication management, getting dressed) s/he may be eligible to receive assistance with a medicaid based funded program. Medicare is a national insurance program, administered by the U.S. federal government, for Americans ages 65 and older and younger people with disabilities as well as people with end stage renal disease. Benefits include hospital care (Part A), outpatient medical services (part B) and prescription drug coverage (Part D). To learn more about Medicare. If you or a loved one are looking at options for receiving care and are exploring Medicaid or Medicare , please contact the Information and Assistance Program.